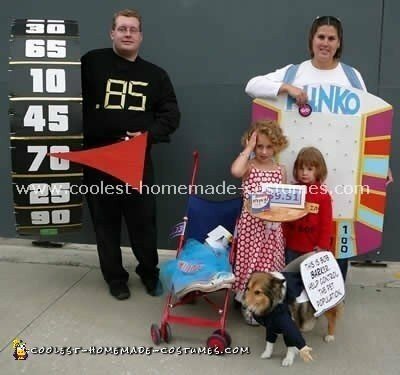 This year in honor of Bob Barker’s retirement we decided to deck our family out in a group Halloween costume of "The Price is Right"! Dad was the Big Wheel, Mom was the game, Plinko the oldest daughter was a Barker’s beauty, and the younger daughter was the contestant! Our newest addition (six weeks old!) was a bottle of Windex from one of the pricing games. 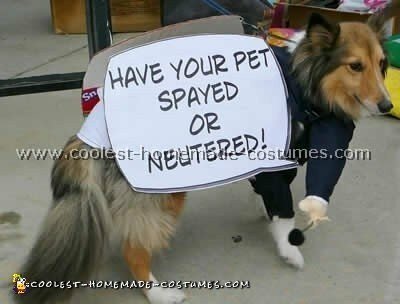 The main part of the costume was our dog who was Bob Barker! 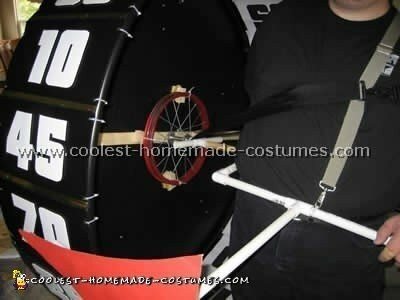 Both Plinko and the Big Wheel were fully functional costumes! All the kids loved coming up to us and "playing" the games! Many adults had their fantasies fulfilled by getting to "spin the Big Wheel!" as well. The costumes took several weekends to make. Plinko was first, being made entirely from scratch. 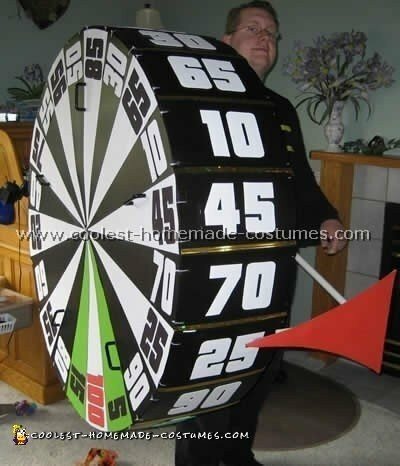 Read the full instructables here: http://www.instructables.com/id/Make-a-Plinko-prize-board-or-costume. The big wheel was made largely from irrigation tubing, an old bike wheel, a 4×8 sheet of corrugated plastic and a bunch of zip ties. The support frame was made from half inch PVC. 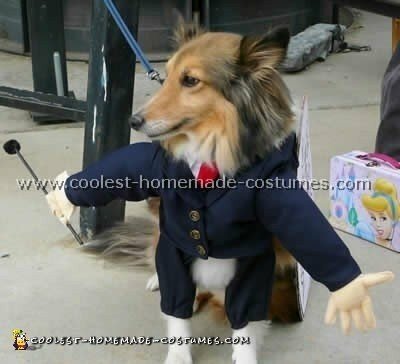 Bob Barker was made by modifying a toddler’s suit from a consignment shop. We matched the pants color and fabricated the jacket that wrapped around our small dog. The word bubbles were just mounted onto cardboard and then hung from the side of the costume. My favorite detail is the stick microphone, just a Dowell with a black pompom on the end.